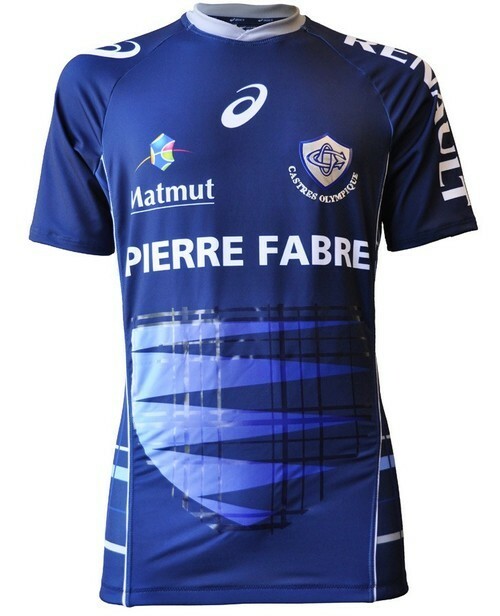 The shock 2012/13 Top 14 Champions will have a hard time repeating this year with the likes of Toulon and Toulouse spending megabucks on recruitment yet again, and sadly, their probably doomed quest will be undertaken in a pretty rubbish shirt. You don’t see a lot of Asics rugby shirts, and on this evidence, it’s probably for the best. As is often the case, there’s the makings of a decent shirt here, but the weird multi-toned blue shield on the front of the shirt is plain ugly. Merde. 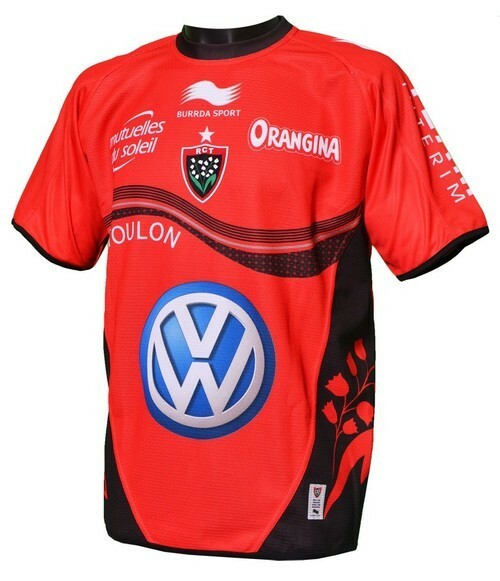 Chances are, Toulon fans are far too busy pinching themselves about who will be wearing the shirt of the Euro champs this season than what it looks like this year, but if we were Drew Mitchell or Bryan Habana, we’d be tempted to wangle a paper bag clause into our fat new contracts when presented with this Burrda stinker. The tacky flowers on the side panels are bad enough, but the weird, terrible-font ‘Toulon’ underneath the Burrda ‘wave’ is just unforgivable. Everyone knows who you are already because you’re richer than God, so stop rubbing it in, okay? French rugby’s perennial nearly men were beaten in the Heineken Cup final last year, but they’re smashing their Mediterranean rivals in the new shirt stakes. 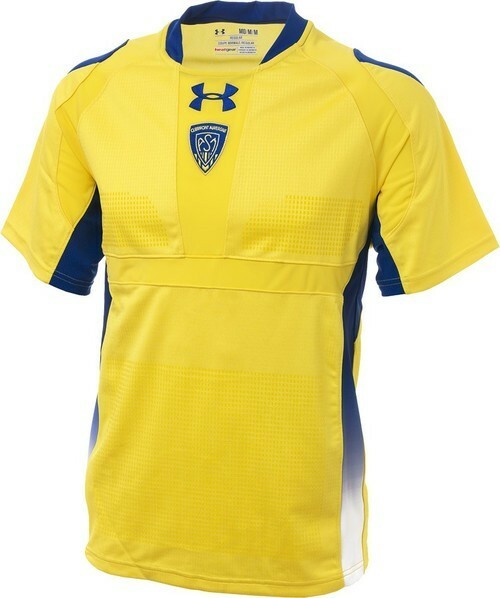 The real thing will probably be cluttered up with sponsors logos by the time we see it in Euro action, but let’s take a moment to appreciate the understated nature of this Under Armour design (it’s not often we get to say that). For once the weird textured panels and coloured flashes actually work to save this kit from being boring, and condensing the UA logo and club badges into the upper chest section gives a lovely symmetry you don’t often see on a modern shirt – tres bon!